Marchisio 26 mm lockring for Campagnolo. 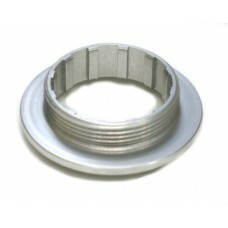 Fits hubs built until 1998, referred to as "Campagnolo 9 speed hub". This one is for cassettes starting with 11. 11 speed cassette for Campagnolo.Marchisio MTK cassette for Campagnolo compatible hubs.The cassette ..